Btw you can change the FTL Regina scene of the moment back to "Evil Queen Scene of the Moment" I think that only was for the "good" Regina. I'll change that now, if you guys want to change the gifs, just post new ones. TFTNT! 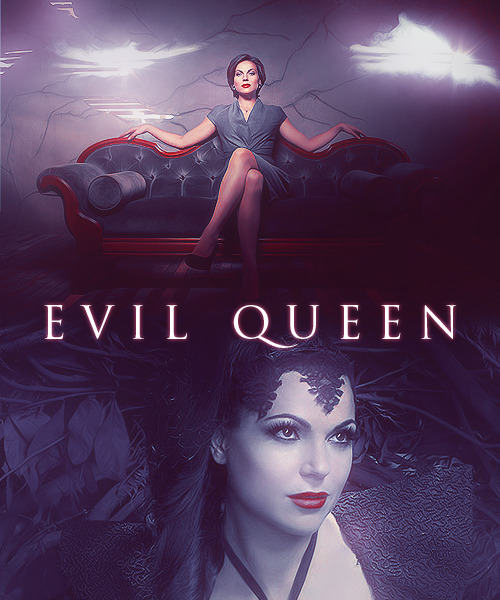 She has terrific evil queen outfits! And the gorgeous wedding dress! Yeah I think Fi had a suggestion the last thread... but I can't remember. I wonder if Regina is going to let the girls out now that there is magic in Storybrooke and everyone knows who they are again. She dressed a bit conservative in Storybrooke, but she wasn't shy at all in FTL. I wonder if Regina is going to let the girls out now that there is magic in Storybrooke and everyone knows who they are again. I like the way your mind works. Now that's an interesting question. Huh, I like the gif set of her making the scrumptious yet lethal turnover! I love the new pics. Those new pictures... she's actively trying to make us go by now, right? Thanks for the new thread. I love the Regina scene of the moment. I honestly thought that scene was hilarious. Evil apple turnover baking FTW. Anyone else think Lana looks like Julianna Margulies in those new pics. That's who I thought it was at first. The other thread is over? Yep Jaclyn opened this one earlier. Love your icon BTW.